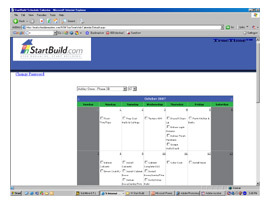 StartBuild’s online budget technology is the ultimate way to plan, organize and manage a residential construction project. It is both an interactive budget and a reference library for every single step involved in the building of a new home. This is a proven tool used by professional home builders, general contractors, project managers and owner-builders to save time, save money and avoid costly mistakes building homes. If you are considering building a home this revolutionary web-based technology is the place to Start and Start Building. 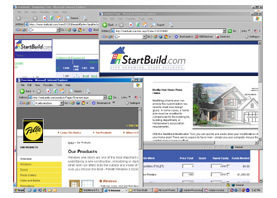 With StartBuild's online budget technology your can add your vendors, lenders, material suppliers and other construction professionals to each individual line item in your customized construction budget. This is a powerful way to keep track of, communicate and coordinate each phase of construction with the specific people involved in your project. This tool is your construction project rolodex. 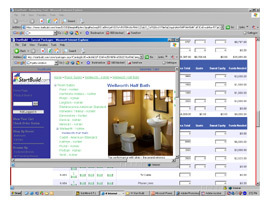 It will save you time by helping you organize, find and manage all of your project contacts such as window manufacturers, roofing suppliers, kitchen designers and others at the click of mouse. Specific help content for each budget item and phase of construction. Get construction information to help during the planning and budgeting phases of construction. The construction help content will help grow your construction knowledge base and understanding the construction planning process. Help information is written to educate about the many phases of construction and help to avoid costly mistakes. 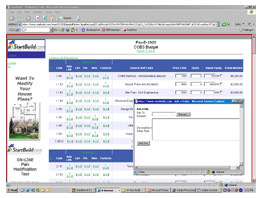 With StartBuild's online budget technology you can link all the websites of contractors, building material suppliers and more. Construction schedule with calendar format is easy to understand and use. With StartBuild's online budget technology you can link shopping carts from material suppliers to each individual line item in your construction budget. You can shop for, organize and link all your personal material selections and choices for the building materials that you want to use in the construction of your new home. This information and price tracking feature for your building materials will give you the ability to obtain accurate contractor and sub-contractor bids and is crucial for loan and appraisal requirements. Insure that you get the materials you want installed in your custom built home and that they are within your budget. It’s the ultimate shopping cart for your new home!